Electric Fencing Supplies (EFS) is an online specialist in electric fencing products and services. 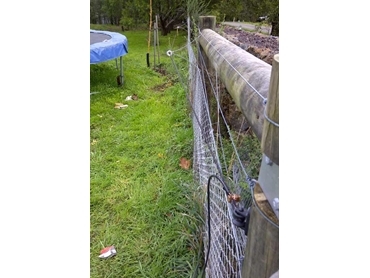 Stocking leading brands on the market, EFS also provide fencing repair services, design and the installation and upgrade of electric fencing systems, including property fault finding. Its latest offering is the electro braid rope electric fence which is said to be the 'Rolls Royce' of electric ropes on the market. It comes with 25 years warranty and available in White or White with Black fleck. EFS also offer second hand fence energisers that are currently being showcased in the showroom. There are a number of brands with battery, solar or mains powered models. During the month of June 2012, EFS is offering 5% off all its product range.